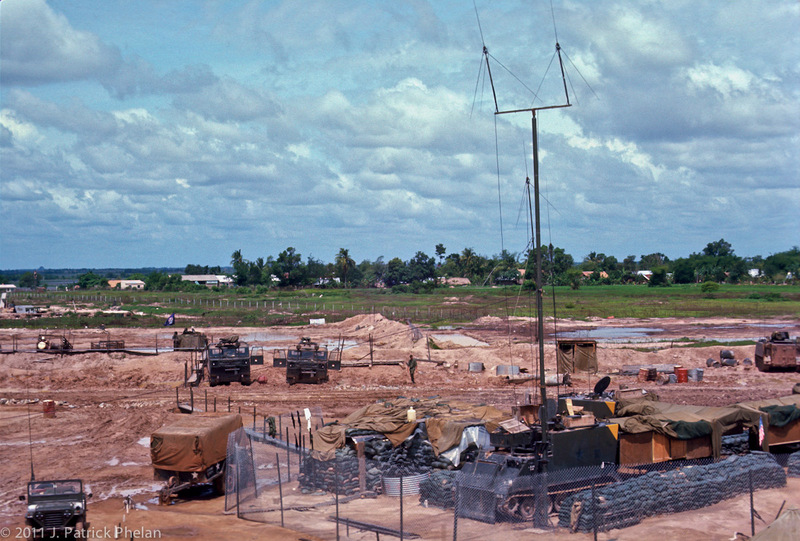 Fire Support Base Hampton and Go Dau Ha. The Command and Communications Center at Fire Support Base Hampton. The southeast edge of Go Dau Ha, South Vietnam, can be seen at the tree line. The monsoon season, 1969.